Technical Information – Indy Imaging Inc.
A 4′ x 16′ Rigid Sign Printed On Two 5′ x 10′ Sheets. The Result – Perfect Alignment A 4′ x 16′ Rigid Sign Printed On Two 4′ x 8′ Sheets. The Result 4′ x 8′ Panels Do Not Align Correctly. 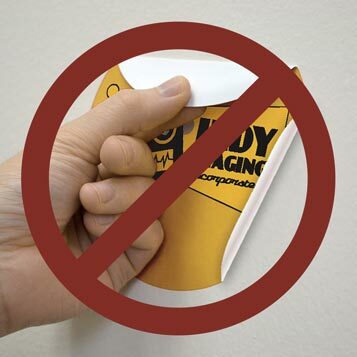 Sticking a decal to a wall. It really shouldn’t be this hard. But with the advent of low-VOC paint, life has gotten a little tougher for those of us that do it for a living. Due to government regulations and efforts to make the world a better place, paint manufacturers have been changing the chemistry and reducing the level of Volatile Organic Compounds in their product. 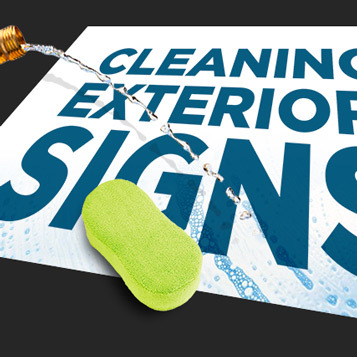 Clean with mild soap and water use a microfiber cloth or microfiber sponge on the surface. 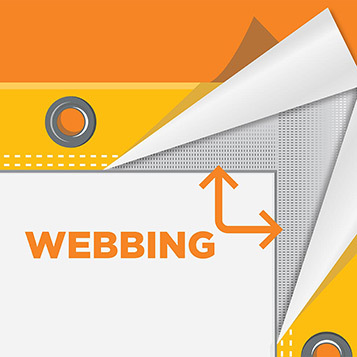 Why Use Webbing To Reinforce Banner Hems? If grommets rip out of a banner hem, it’s usually due to high winds. This can be prevented by adding nylon webbing to the hem. The edges of acrylic often have a frosty appearance after being router cut. 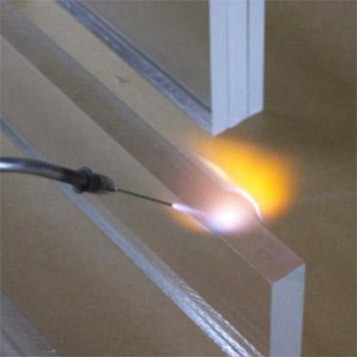 Flame polishing edge treatment eliminates this. 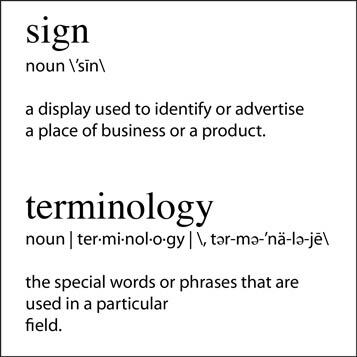 We have assembled a list of useful terms below with their definitions. 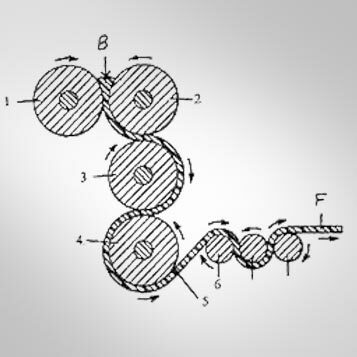 Our goal is to assist you in understanding the language we use to describe our products and their applications. 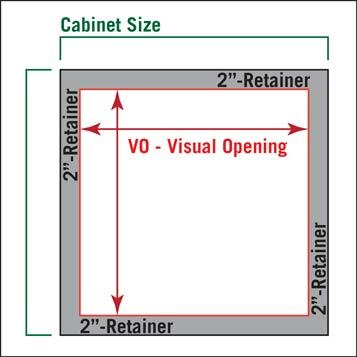 We have put together some terminology and a diagram below to illustrate VO – Visual Opening, Retainer & Cabinet Size, for you. These should help you better understand the differences between these terms and their relationship to one another. All shapes are not created equally sized. 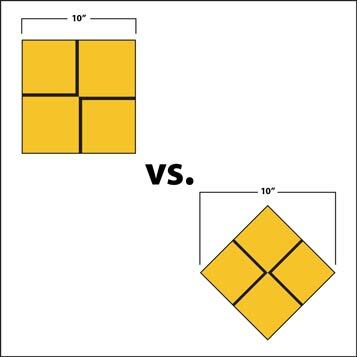 If you have an item that is square or diamond shaped, it is important to know whether the requested dimensions are for the square size or the diamond size. 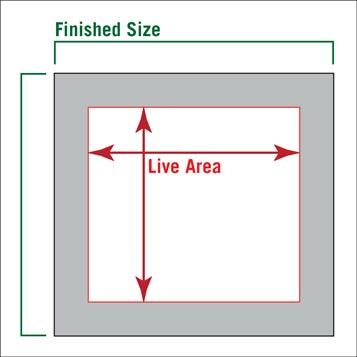 Finished Size – What does this mean? 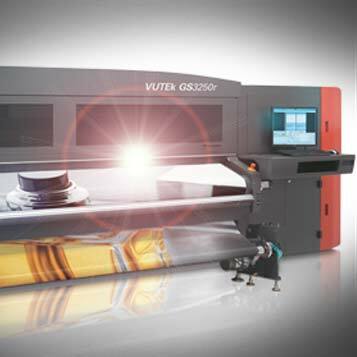 The term finished size refers to the size of the printed graphic ready to install. 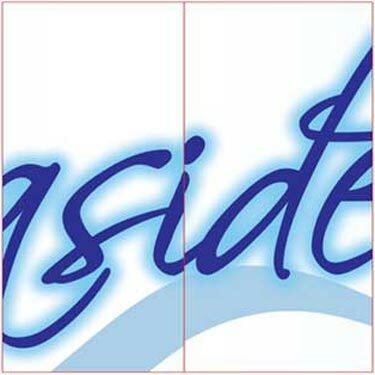 If the the graphic includes bleed or wrap for installation, this is part of the finished size. Pockets and hems do not add to the finished size. 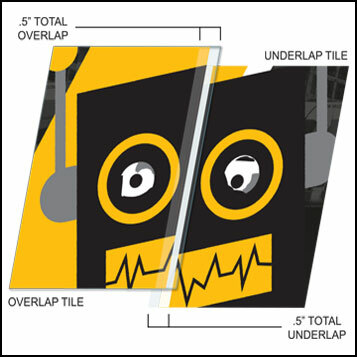 Visualize your graphic laying on a table with a tape measure edge to edge. This is the finished size. The overlap on one tile just has Image on it and the overlap on the other tile would have White and Image. So when they are combined, they are Image-White-Image. This also makes the seams less visible. Our tiled-with-a-seam flex face is made with the same material as a non-tiled flex face. 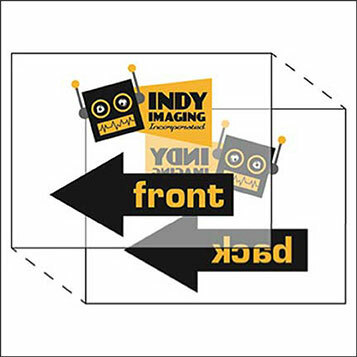 Indy Imaging has perfected a method of seaming together tiles when both dimensions exceed the 16 foot roll width. The reason for this is when you are looking at the front and back files and the arrows are pointing the same direction, they will be pointing in opposite directions when printed. 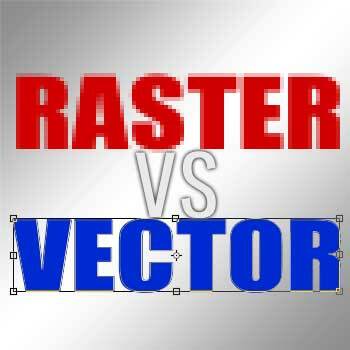 But if the arrows are pointing in opposite directions when looking at the front and backside files, they will print pointing the same direction. Confused? Then continue reading to be unconfused! 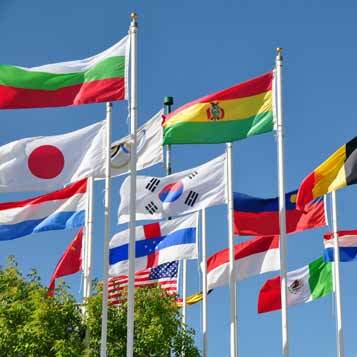 Flag Material, unlike other polyester material for dye-sublimation, is coated for direct disperse dye printing. It is not heat transferred from paper like traditional dye-sublimation. 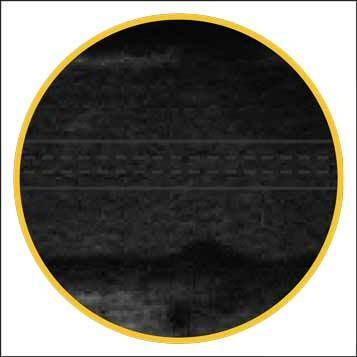 Ultraviolet curing (commonly known as UV curing) is a photochemical process in which high-intensity ultraviolet light is used to instantly cure or “dry” inks, coatings or adhesives. 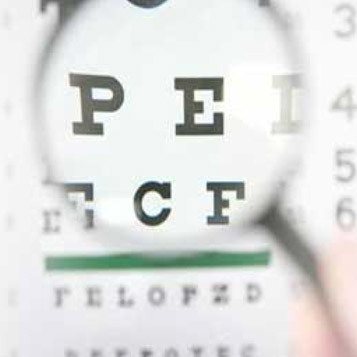 Legibility of outdoor advertising design depends not only on the style of type or lettering or on the combinations of color used, but also how these elements work together at a distance. 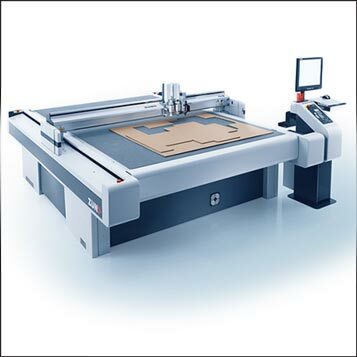 We use Zünd Cutting Systems to insure consistency and efficiency. The Zünd name represents Swiss quality and has become synonymous with precision, performance and reliability. Read on to find out more! Vinyls, in general, are manufactured in one of two ways; “calendering” or “casting”. While at first glance these vinyl’s appear similar their differences become apparent over time, and when applied in demanding environments. Just as there are a variety of materials and colors, there’s a wide variety of thicknesses. In fact, what many people consider to be “cardboard” is still technically considered a paper, just of a very high weight or point value. 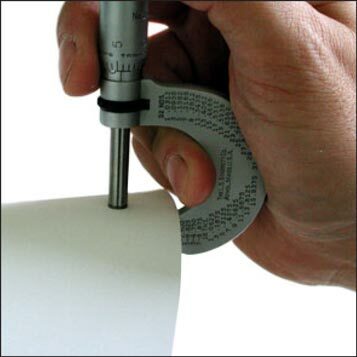 Here we try to explain the different types of measurements used for different materials. 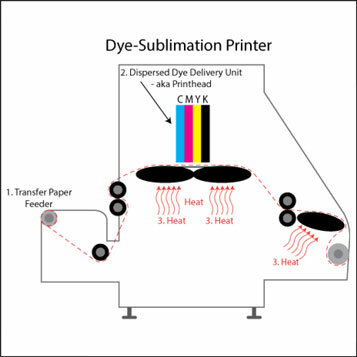 Dye-Sublimation is a printing technology which “Dyes” polyester fabric by transforming the inks into a heat-activated gas which bonds with the “Fibers”. This results in a brilliant finish with a wide photographic gamut.